✌️ I have the same 'problem' with Dublin as I have with Rome. I return there with pleasure and I just like to be there. 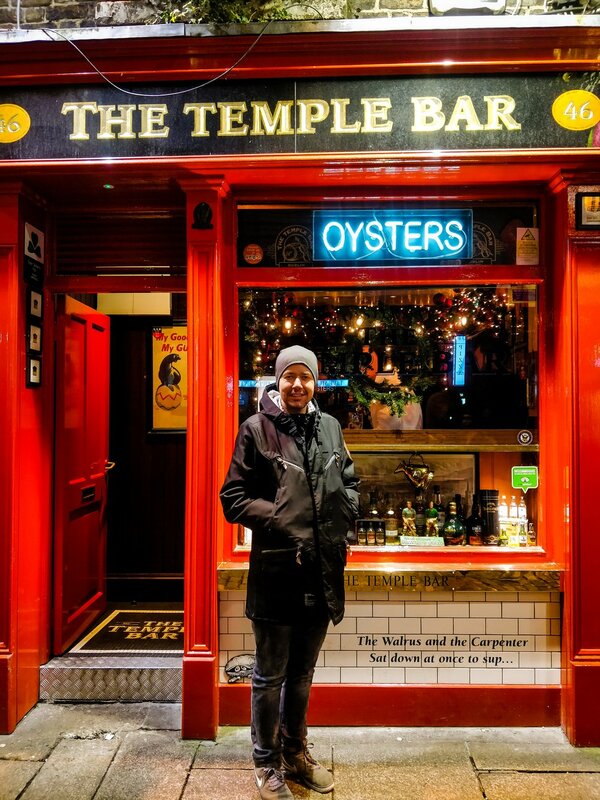 Maybe it's thanks to the Irish themselves, maybe a beer, maybe an atmosphere through which I feel at home. 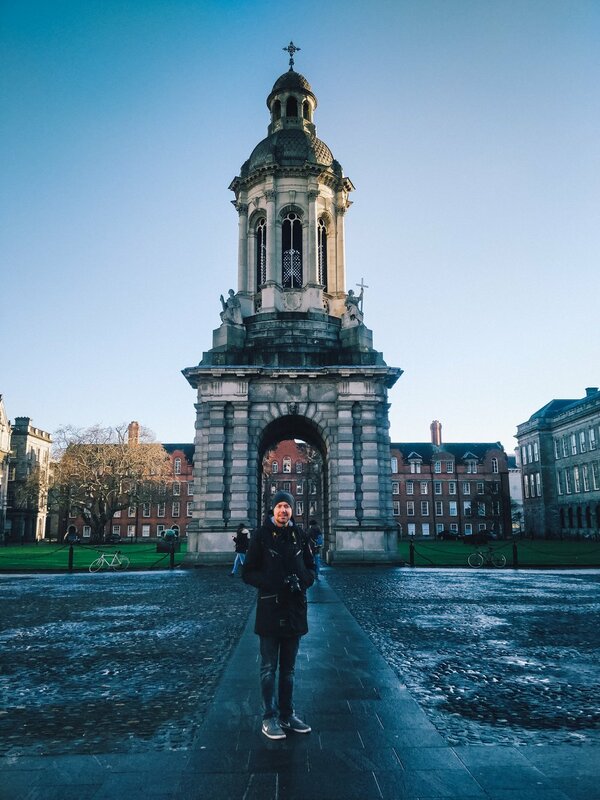 I went to Dublin for the third time and again at the beginning of December. 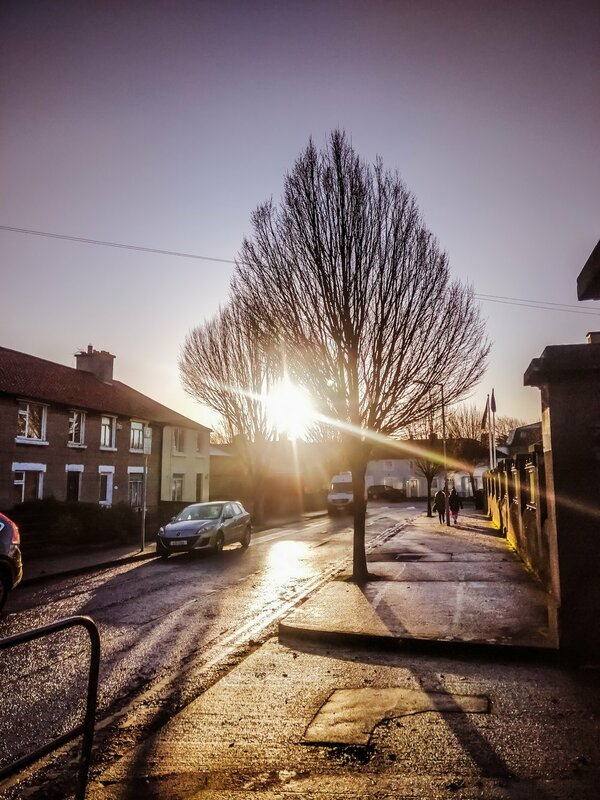 This year, surprisingly, Dublin welcomed me with spring aura and sun. Previously it had been storms and rainfall. But let's not fool ourselves - December is not the best time to travel to the Islands. This time, however, everything went perfectly and without delays! The city does not occupy a large area. From the city centre you can walk to most of the tourist destinations. From the airport itself, the journey takes about 30 minutes, which allows us to save a lot of time. 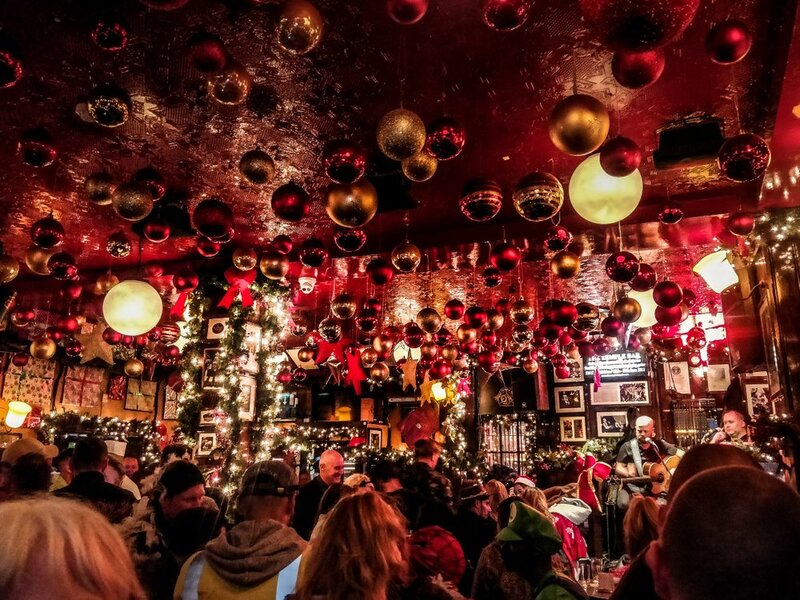 You won't be bored in Dublin. 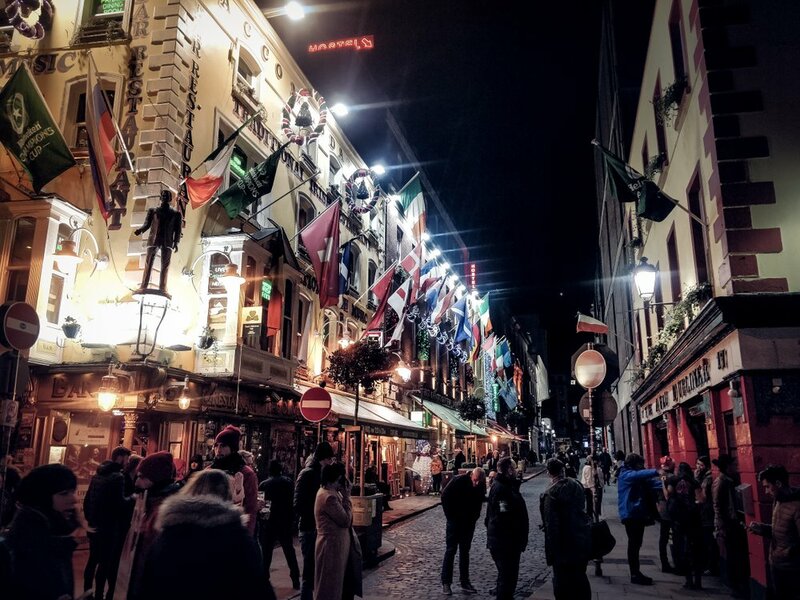 The city offers a wide range of attractions - everyone, regardless of age and interests, should find something for themselves. 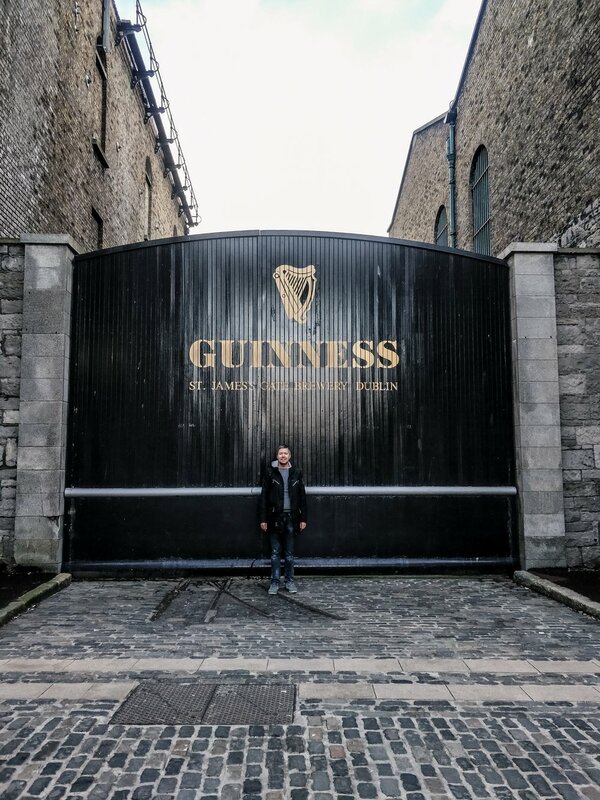 To be in Ireland and not to taste beer? Don't make a bar trip? It's not possible! 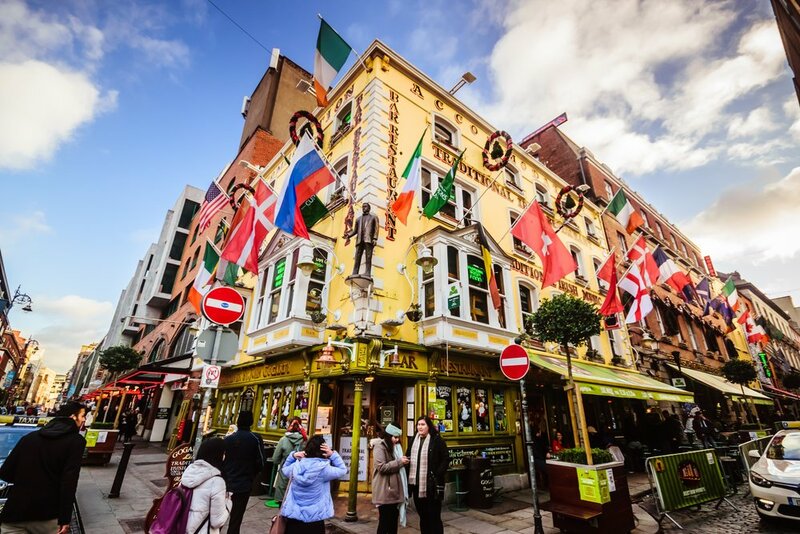 Irish pubs have an incredible power of attraction. Maybe it's because you can often find live music there? Probably this is one of the reasons why you should spend at least one evening sightseeing bars. All the more so if it is a pre-Christmas period. Then all the interiors look incredibly atmospheric. 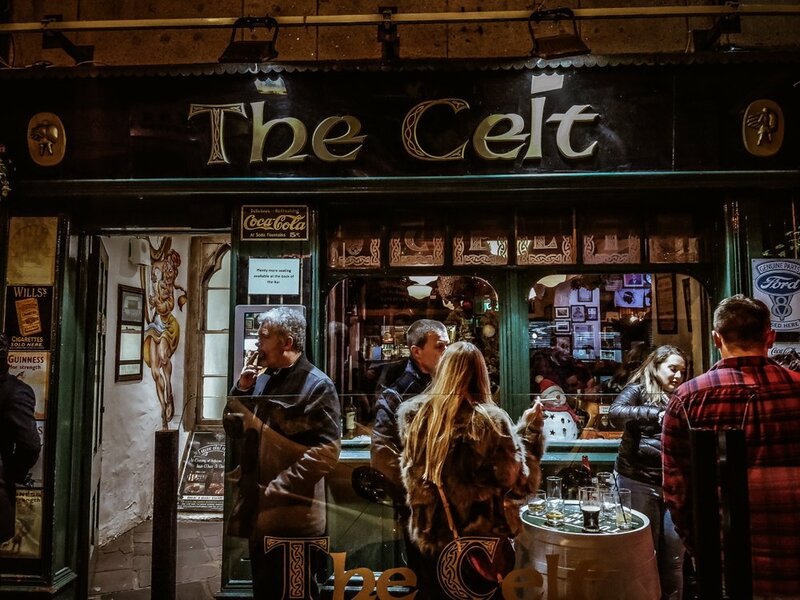 From the pubs I especially recommend The Celt - friendly and usually filled to the brim with people. However, it is worth stopping here for a moment, at least because of the close proximity to the center and live music. 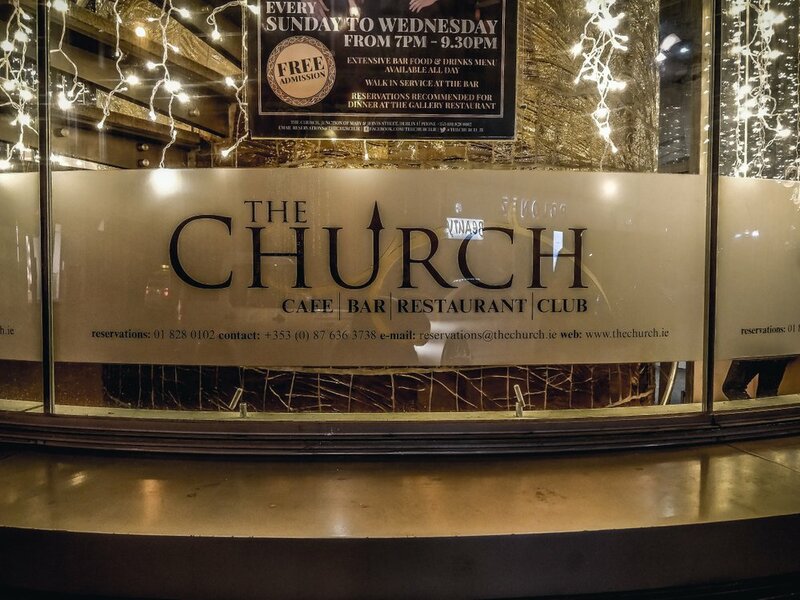 Continuing sightseeing in close proximity is The Church Cafe Bar & Restaurant - unusual, because it is located in the middle of the 17th-century church! The impression is amazing. 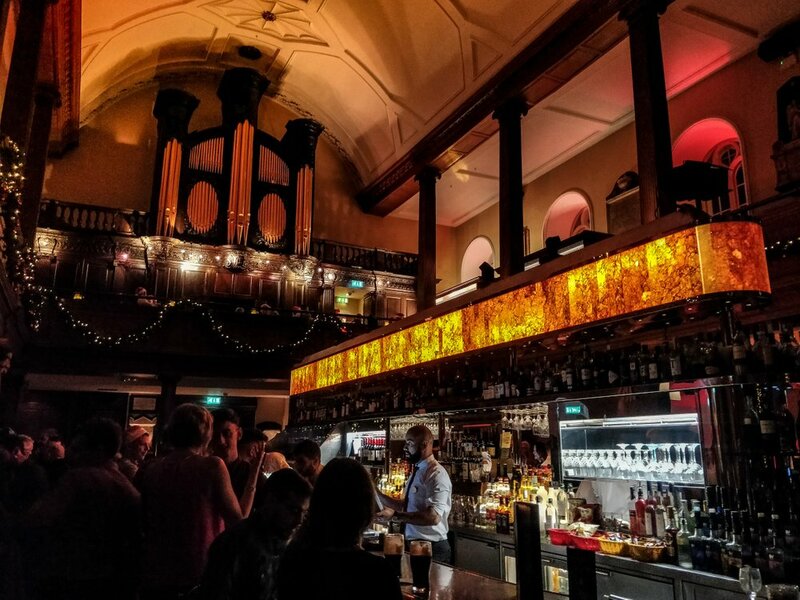 In the middle there is a big bar, on one of the walls there is a huge organ, around stained glass windows. It is worth a visit here! 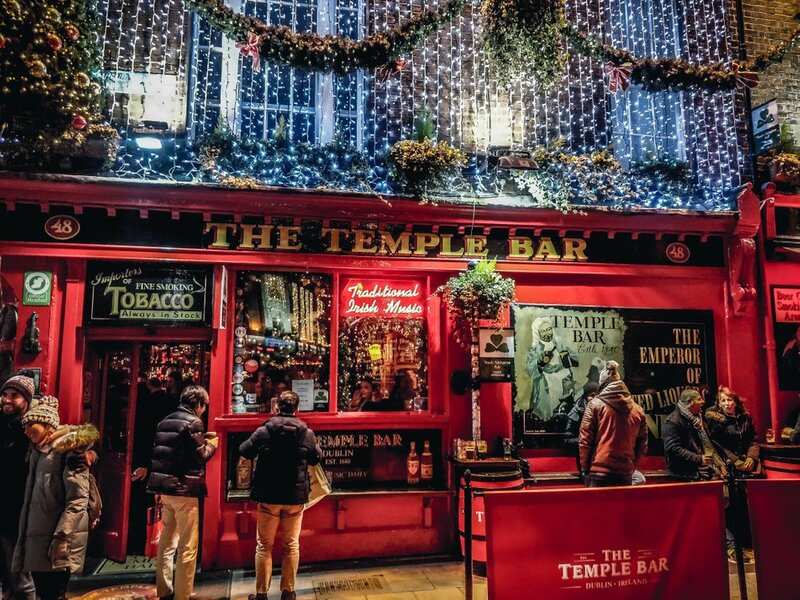 On the opposite side of the river Liffey you will find the Temple Bar. 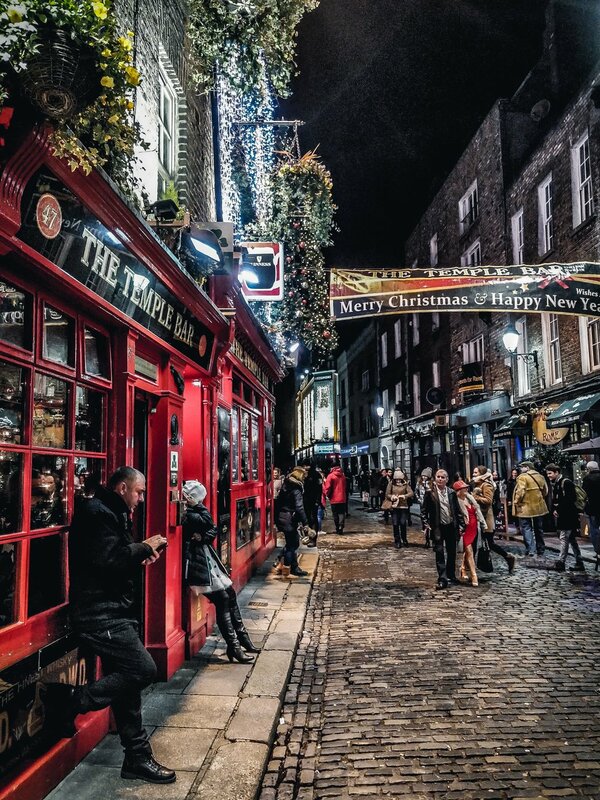 This is one of the places where tourists come to Dublin. The city has fun here. 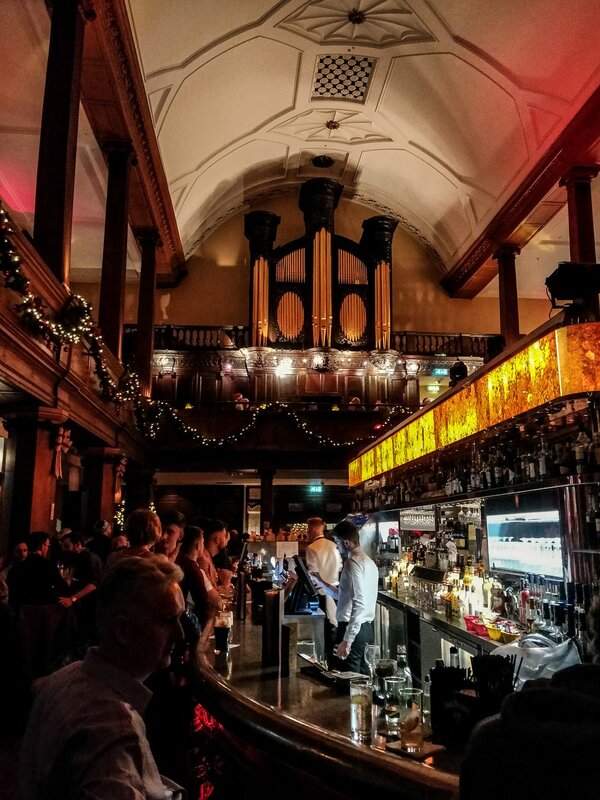 The name comes from the name of William Temple, the 17th century rector of Trinity College, whose family home once stood in this place. 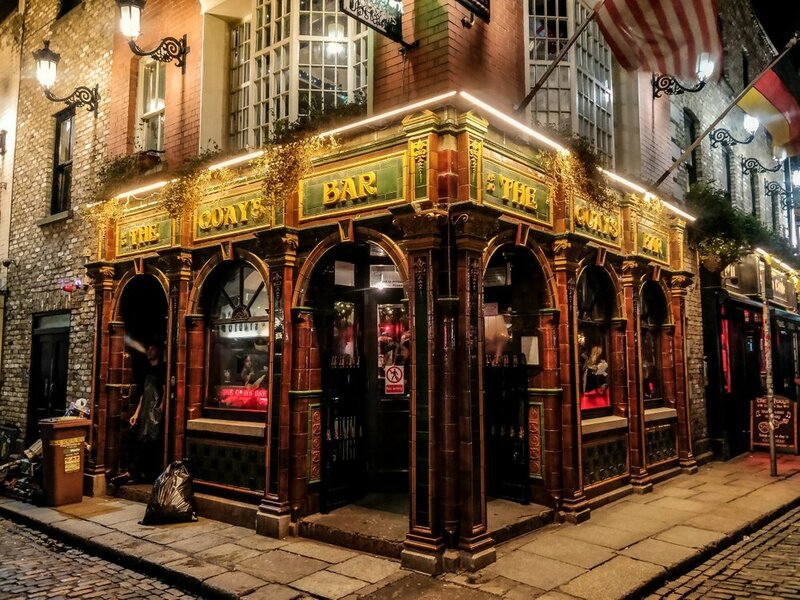 There's no such thing as the "best route" at Temple Bar - it's definitely an area where you need to turn around. There are plenty of street players at the crossroads and bars around. 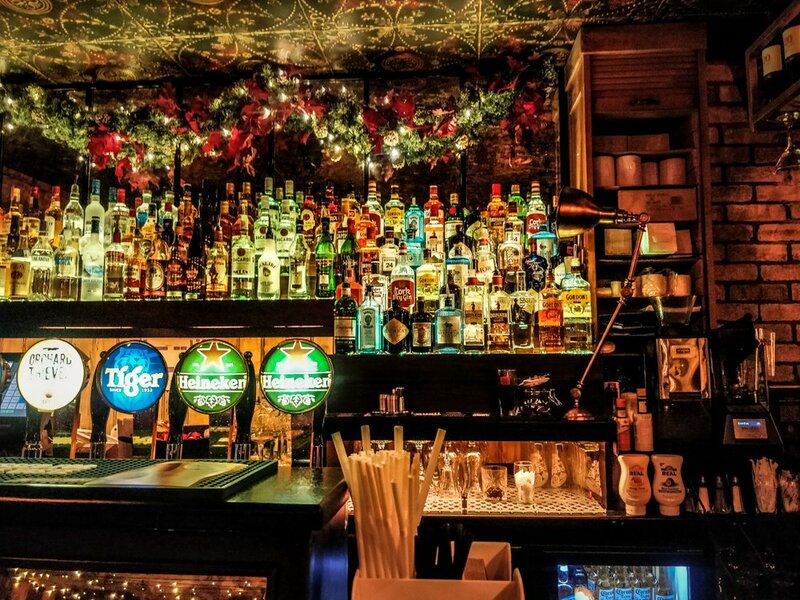 A visit to the bar can't end without a pint of Guinness - the most popular beer in Ireland. 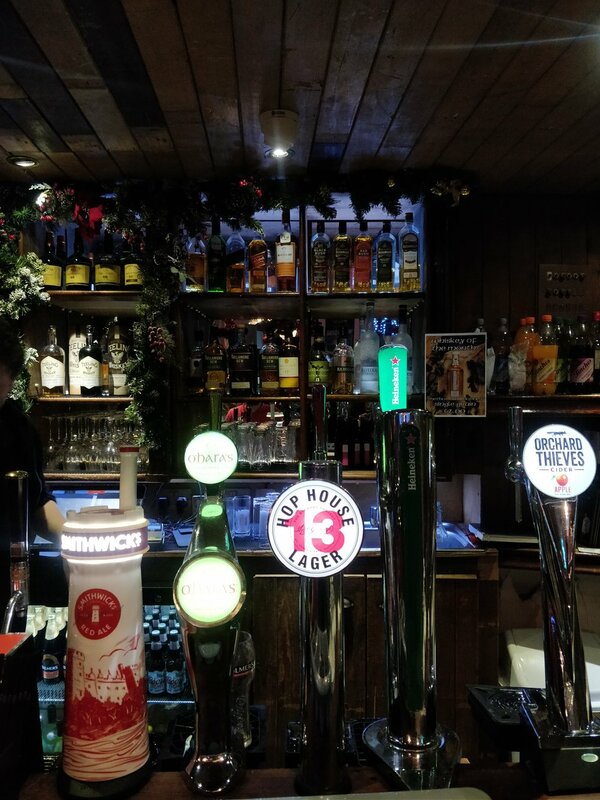 The beer is produced on the basis of four ingredients: barley, water, hops and yeast. The beer owes its original colour and distinctive, bittersweet taste to the addition of roasted barley malt. 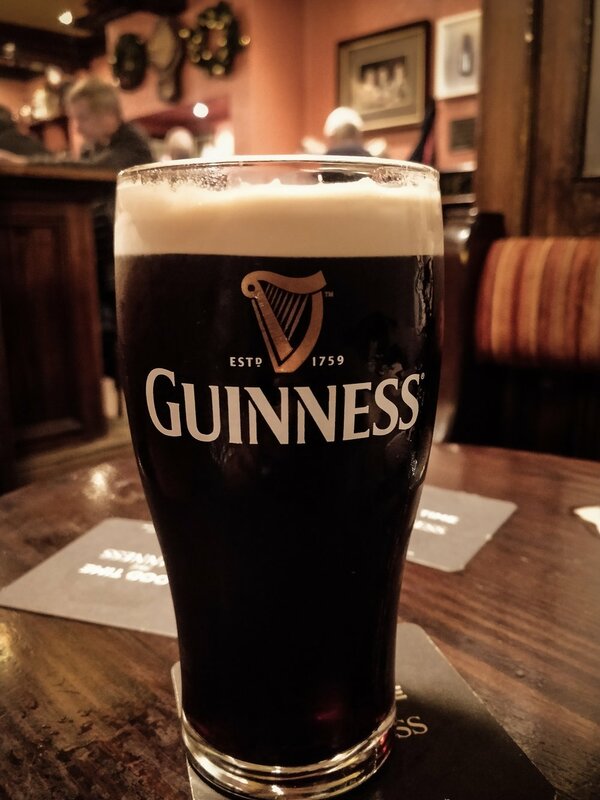 The thick, creamy foam for which Guinness is famous is created by filling the barrels with a mixture of carbon dioxide and nitrogen. 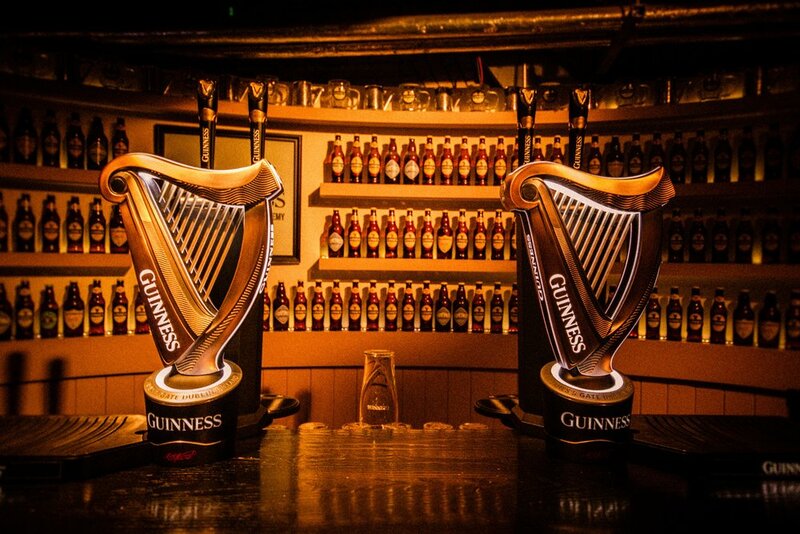 The symbol of Guinness is the golden harp, which is the coat of arms of Ireland. 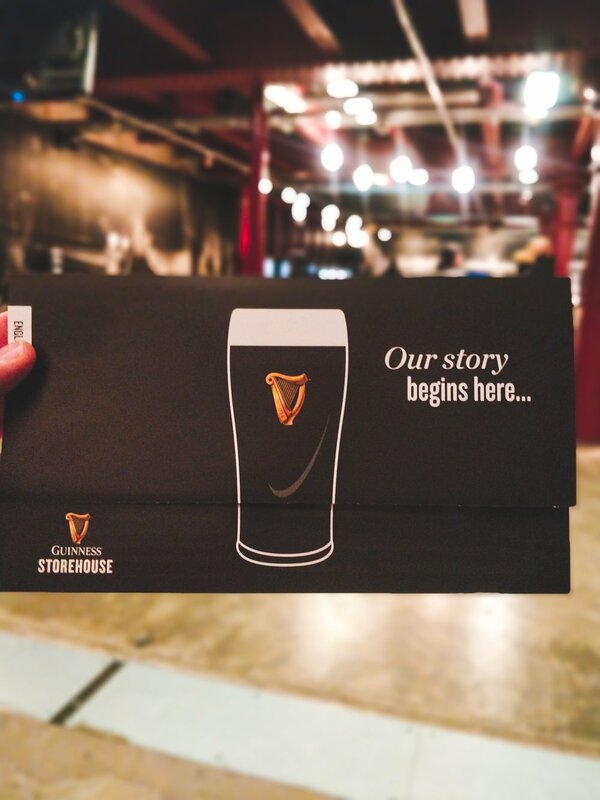 If you're already at Guinness, there's a factory in the city, where the Guinness Storehouse is located - a kind of museum that presents the entire brewing process. Here we can learn about the history of the beverage, learn how to pour it and taste it. 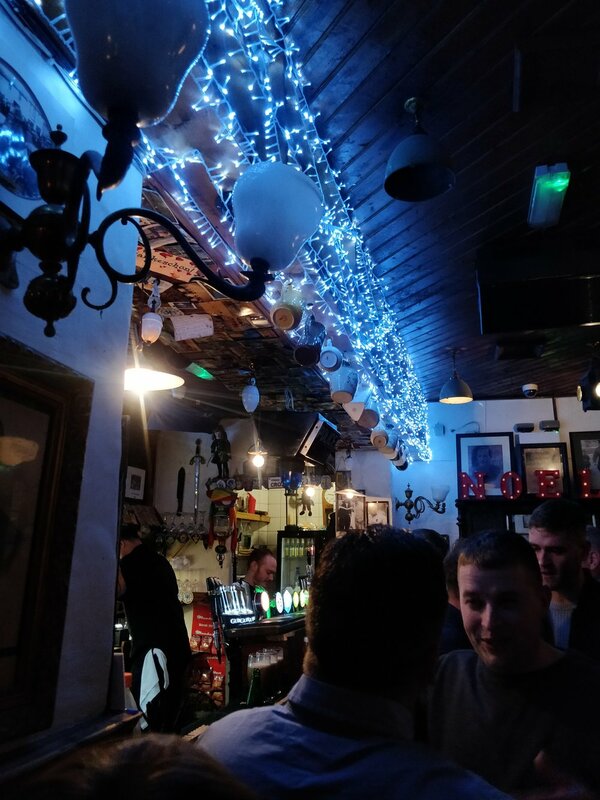 It is definitely one of the most interesting places in Dublin, so I decided to make a separate entry about it. Wait for it! 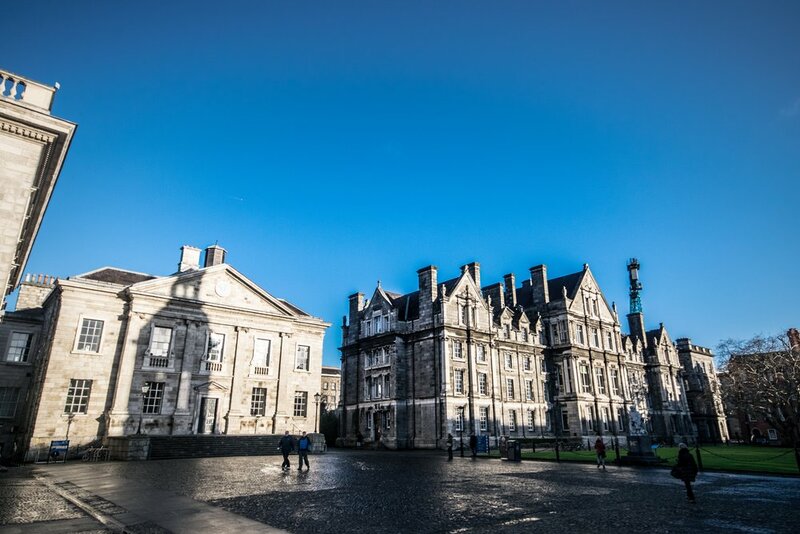 Another place to visit is Trinity College, the most prestigious university in Ireland, founded in 1592 by Queen Elizabeth I. Most of the university buildings date back to the 18th century and there is an extensive College Park around the building. 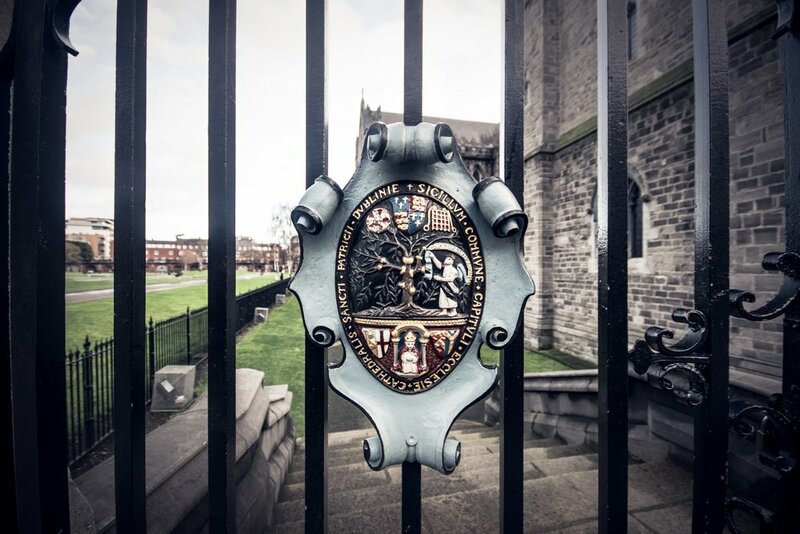 Graduates were Oscar Wilde, Jonathan Swift and Samuel Beckett. 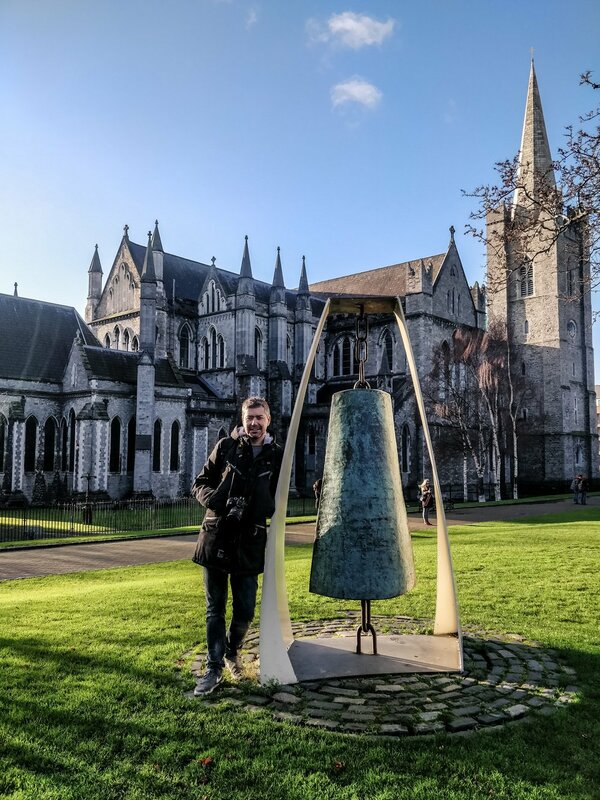 In the building there is a famous library with the Book of Kells - a manuscript from around 800, which is one of the most important monuments of Irish Christianity - unfortunately, during my visit the exhibition was not available. In spite of everything, it is worth going here, for example, because of the buildings. 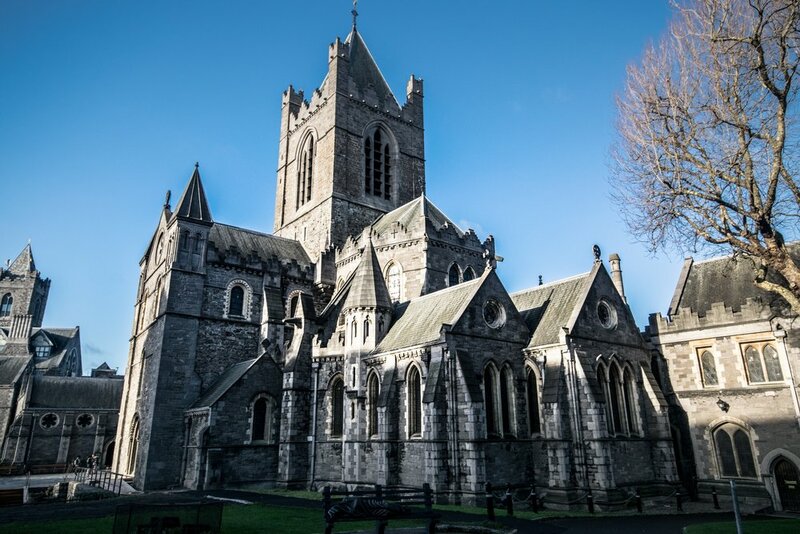 If you like to visit churches, St. Patrick's Cathedral will surely delight you. 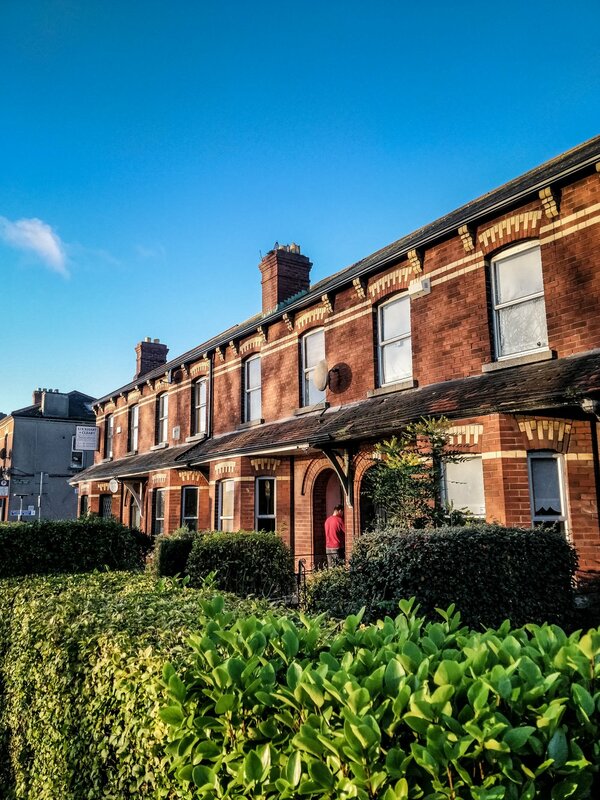 It is considered to be one of the most important buildings in the whole of Ireland. 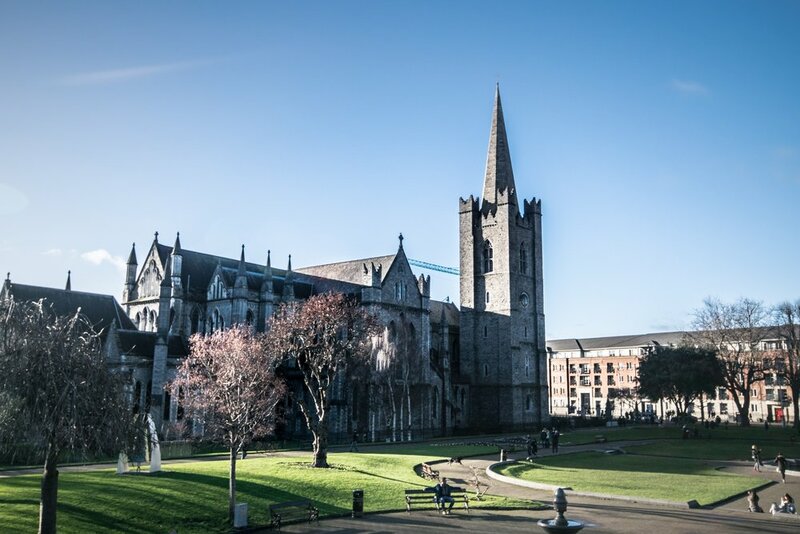 Founded in 1191, the cathedral boasts the highest height among sacral buildings in Ireland. 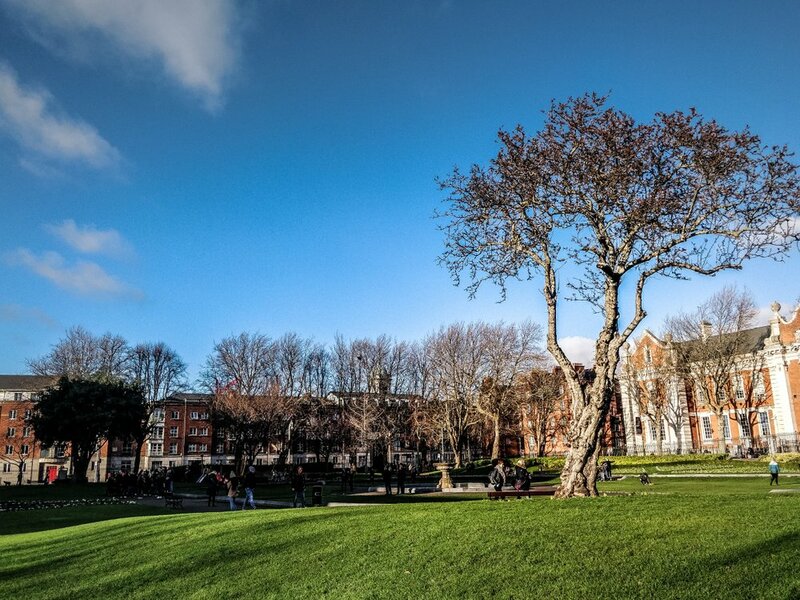 The park in the cathedral is a nice place to relax from the hustle and bustle of the city. 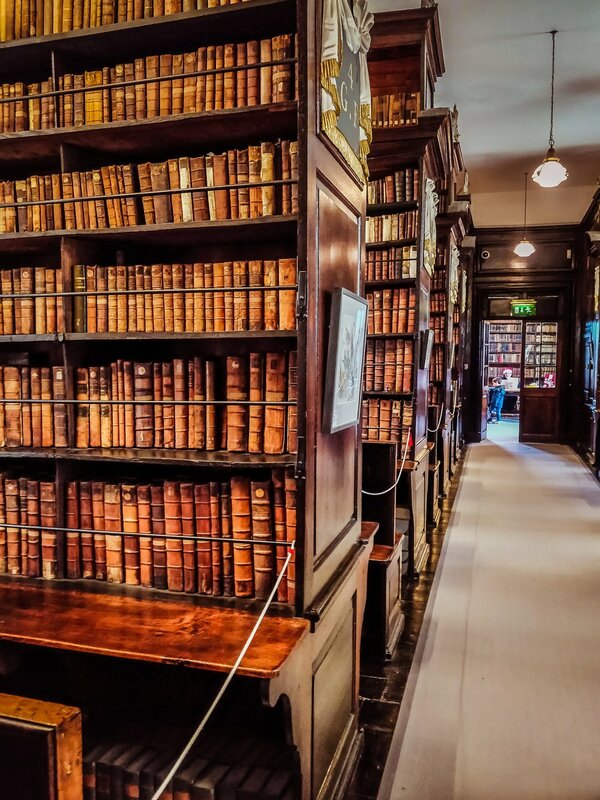 Right next to the Cathedral is the Marsh's Library - a billibrary with a well-preserved library of late Renaissance and early Enlightenment. 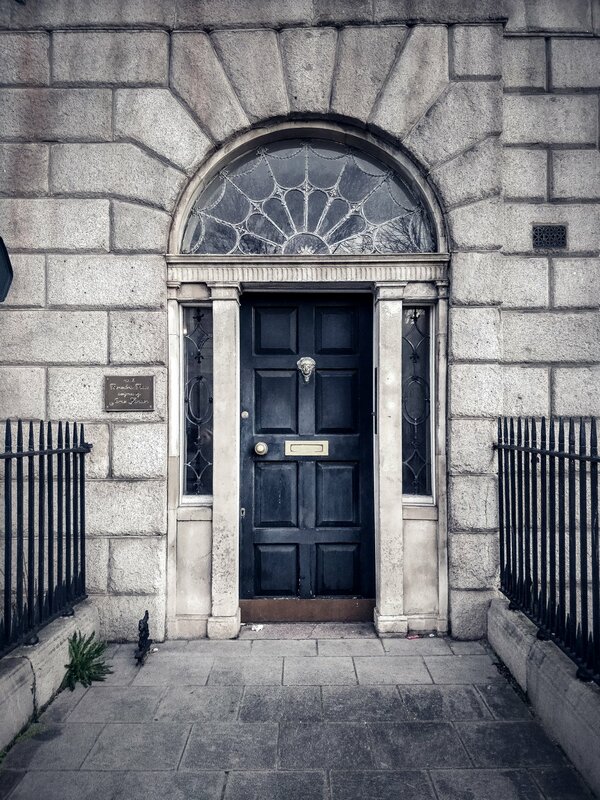 When it was opened to the public in 1707 it was the first public library in Ireland. 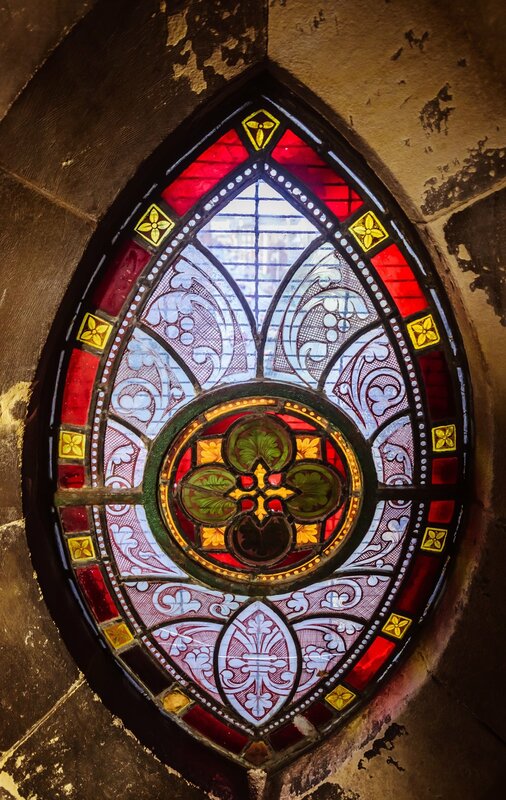 It was commissioned by Archbishop Narcissus Marches and has a collection of more than 25,000 books and 300 manuscripts. The number of books and the way they are published can be admired. 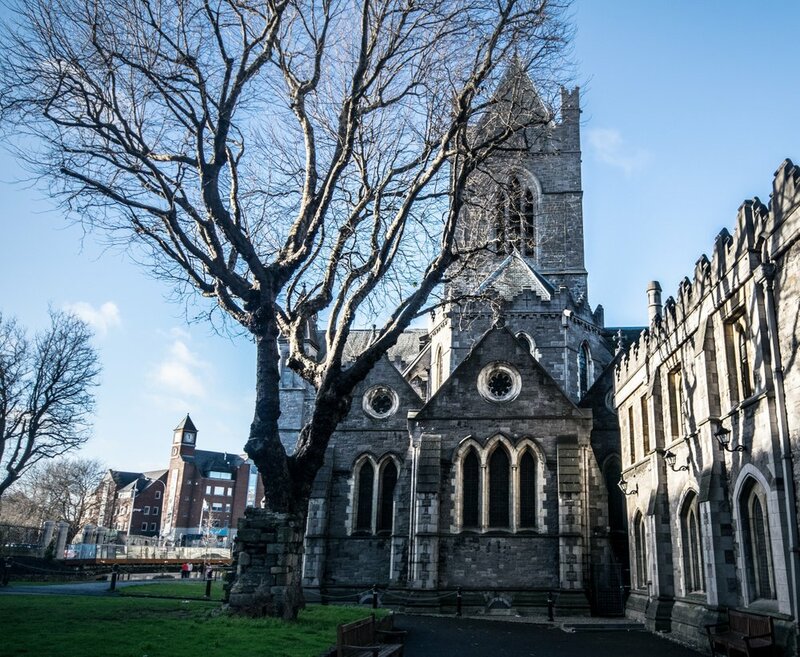 Another cathedral worth a visit is the Cathedral of the Church of Christ in Dublin, also known as the Holy Trinity Cathedral. 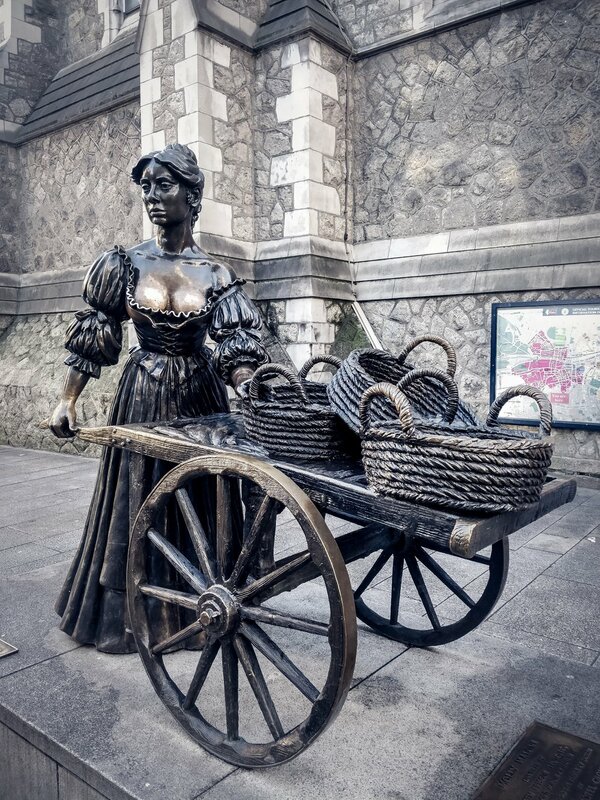 If you know the song Molly Malone, the unofficial anthem of Dublin, you will certainly recognize the figure in the photo. 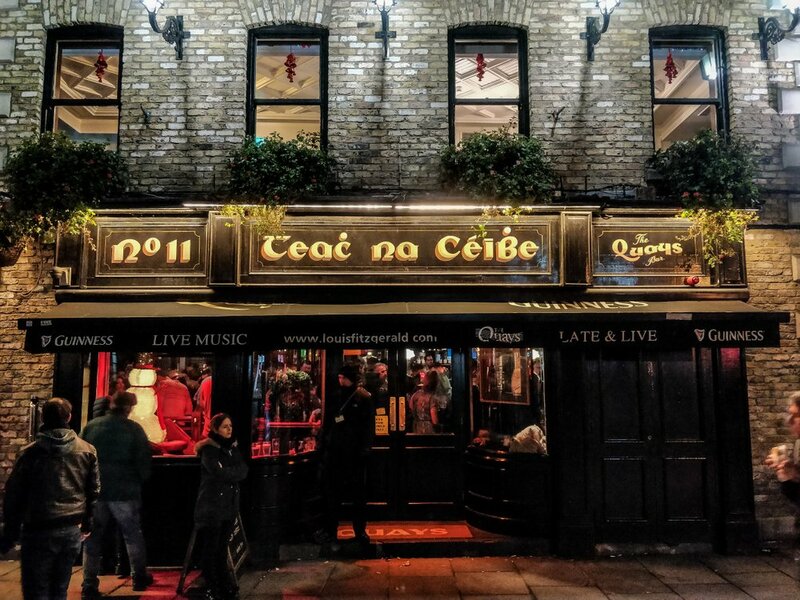 The song tells the story of a beautiful fish retailer working on the streets of Dublin, who died young because of a febra. Her memory was also commemorated with a life-sized figure. Unfortunately, there are no reliable historical sources confirming her age. Legend has it that during the day she sold fish and at nights sold her body. 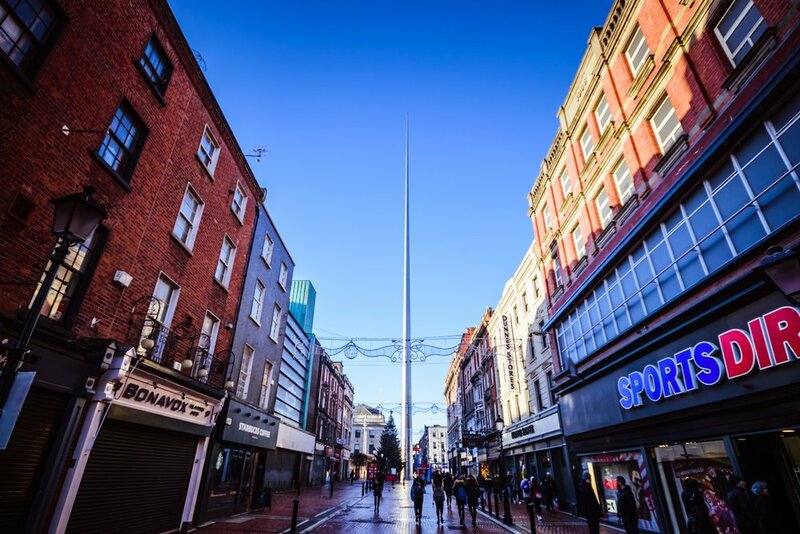 Walking along Dublin's main street, O'Connell Street, you can't fail to notice The Spire of Dublin - a powerful 120-metre monument erected to celebrate the new millennium. 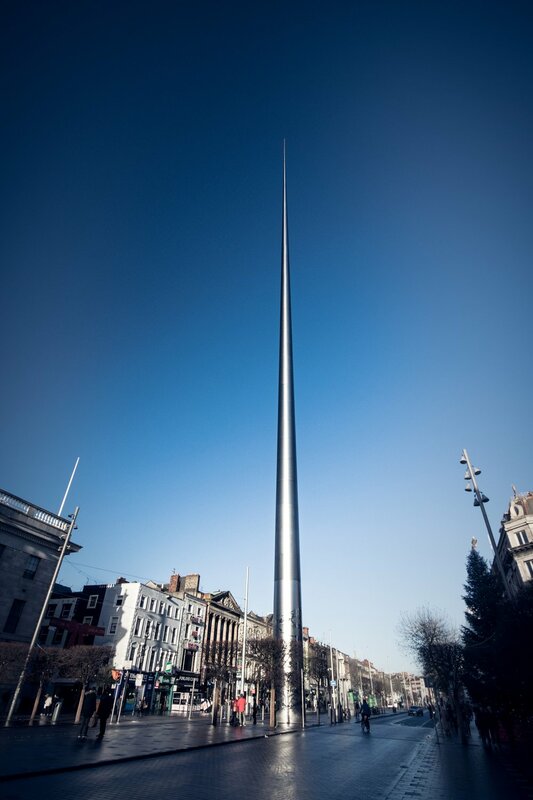 The monument was erected between December 2002 and January 2003. 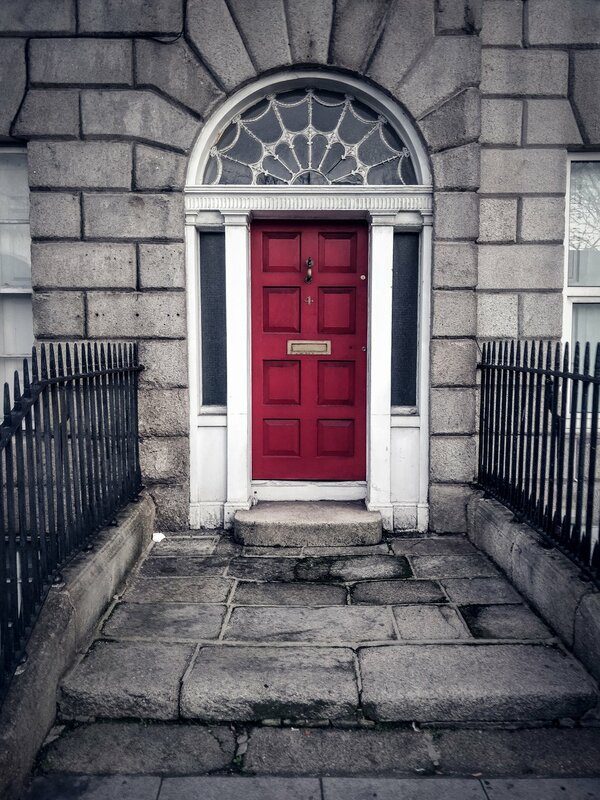 While strolling around Dublin, pay attention to colourful doors, which are an art in themselves. 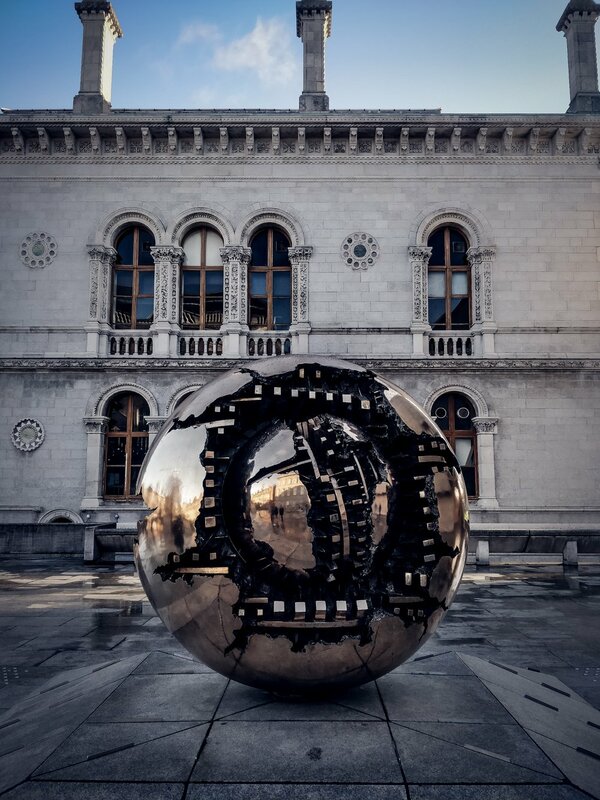 We come across them in many places in Dublin. And you? 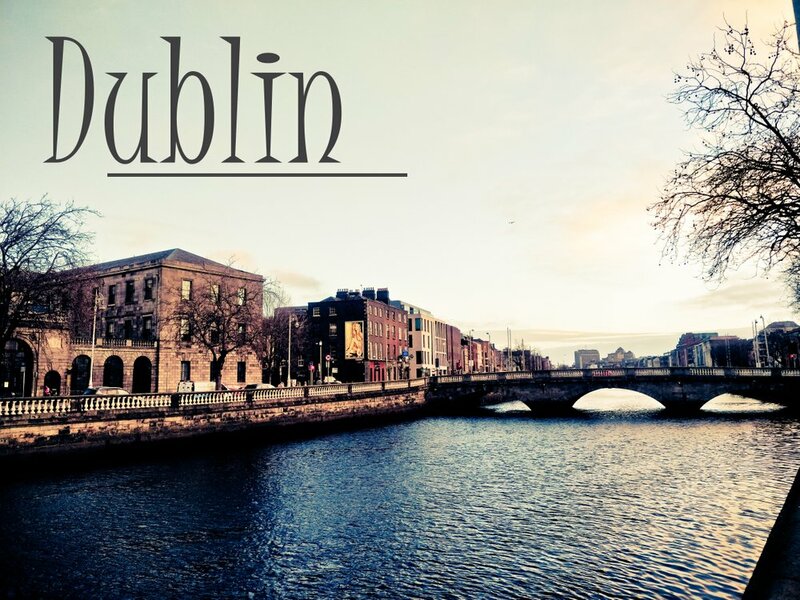 Were you already in Dublin? What made the greatest impression on you?